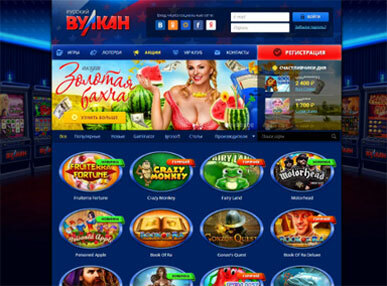 Like the title suggests, this online casino aims for the fun aspect of online games. 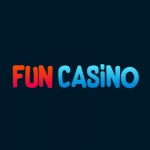 The motto at Fun Casino is ‘putting the fun back into going to the online casino’, their website full of colour, emojis, animated icons, and a playful font. Their goal is to make their customers want to come back, and they’ve certainly made it an attractive place to visit. The design is simple and fun, the games are easy to access and use, there are plenty of accessible bonuses to acquire, and their sense of responsible gaming is evident as you are able to set your own limits and play ‘guilt-free’. The newest member of trusted L&L Group, there are hundreds of games available for both desktop and mobile access, and payouts are fast and easy. The perfect place for beginners to come. The games available at Fun Casino come from a wide variety of developers like Microgaming, Amatic Industries, and Netent, providing a great array of popular games. There are over 200 games that can be accessed via mobile or hand held device, including slots and table games. There is the usual array of table games at Fun Casino, for those who enjoy the old classics like Baccarat, Roulette, Texas Hold’em, and Blackjack. For real time play and a test of the nerves, the live casino games provide that extra adrenaline kick for a good time online. Options of slots include classic slots, progressive jackpots, and video slots. The games are all easily accessed via the filter at the top, and the simple layout adds to the easiness and overall enjoyment of playing on the site. You can of course expect a welcome bonus from Fun Casino. The 60 second registration process will automatically grant you 11 free spins with no deposit required, which is not always the case with every casino. After you make your first deposit, you will be matched 50% upto €499 plus 100 money free spins, and your second deposit 50% upto €499. As always, terms and conditions apply, the most important one to note here being the 30 day time limit for taking advantage of your bonus. With most online casinos paying out pretty quickly, Fun Casino has to keep up to draw in its customers, and it seems to be doing just that. There is usually a 24 hour turnover for withdrawals, with most of them being paid in less than that time. There are no fees and many payment options are accepted, as well as many currencies including the major ones, although you will need to verify your payment details beforehand. Note that no payments are processed on a weekend. Fun Casino makes good its name and promise - it’s certainly a fun place to play games online. The simple, accessible, and colourful website design will be welcoming and attractive to new players and the limits you can put in place for yourself definitely show them taking responsibility. There are plenty of games to access on desktop or mobile devices, and you can use the filter provided to find what you want. The payouts are fast and easy, the site is safe and from a trusted group, and the welcome bonuses are pretty good.